Designed for high speed roughing and finishing of complex contoured shapes in hardened materials. 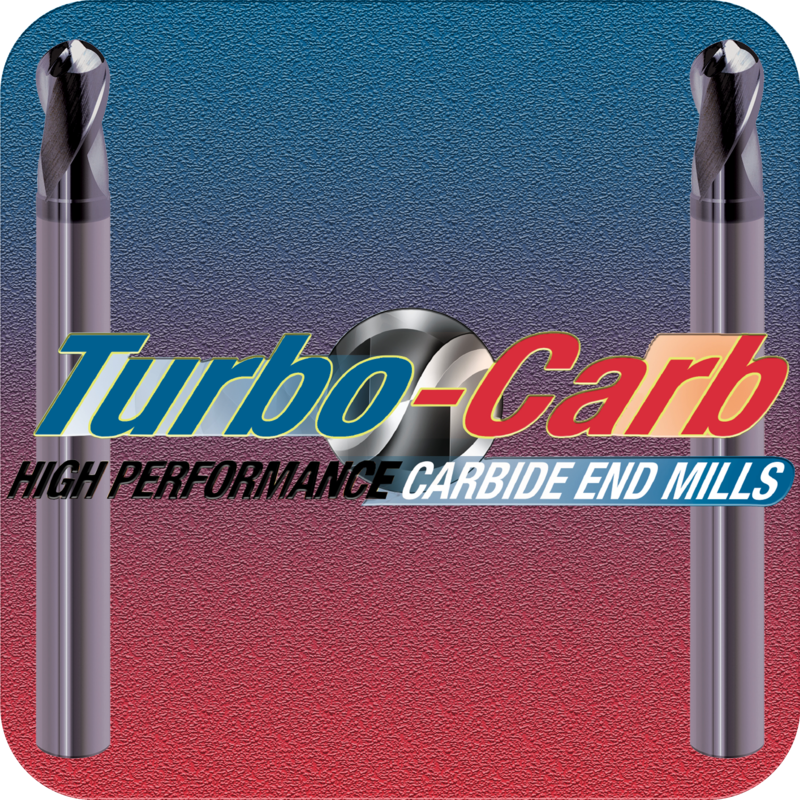 The Turbo Carb end mill is made of an application specific carbide to improve wear resistance and toughness in demanding applications. The high-performance S-Gash geometry on the ball improves shearing while reducing the load. Ideal for dry machining with the exclusive Ti-NAMITE A tool coating. Ti-NAMITE-X Coating - reduces edge wear up to 66%, extends tool life up to 70%, and produces 321% smoother surface finish compared to conventional end mills.